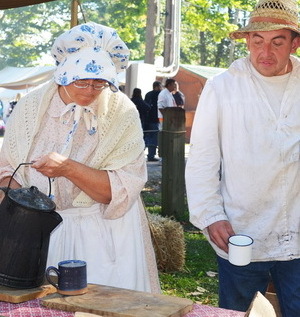 Volunteer activities help support the Historic Swinney Homestead. 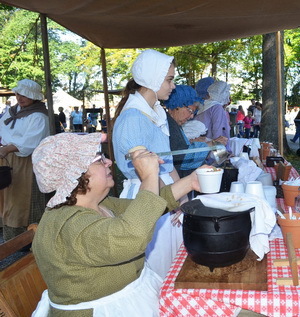 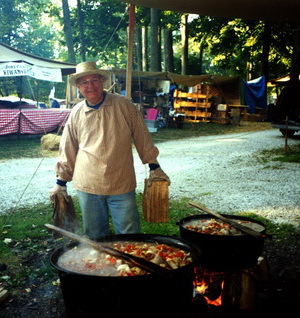 Join Settlers, one of the founders of the Johnny Appleseed Festival, as they prepare authentic pioneer recipes for beef stew, chicken corn chowder, and ham & beans over open fires. 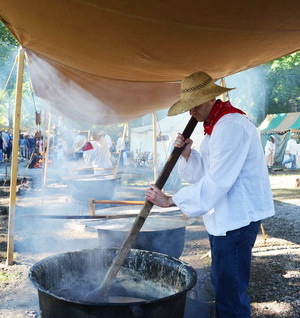 Watch as they bake cornbread in Dutch ovens and serve it with butter. 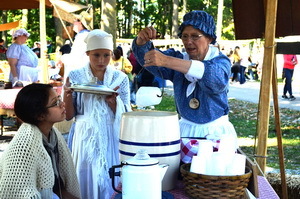 Quench your thirst with sassafras tea or lemonade. 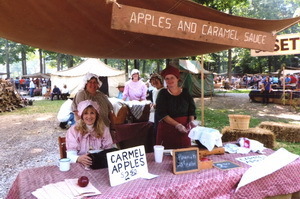 Sweet treats include sliced apples with caramel sauce. 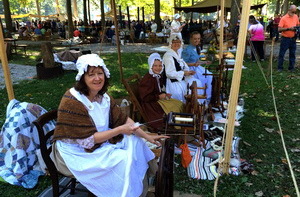 Spinners and other period artisans share the history and beauty of their hand arts. 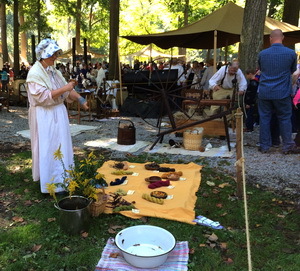 Handcrafted items are available at the Country Store. 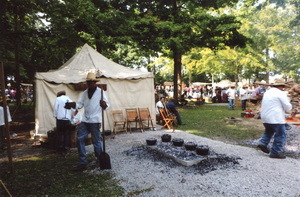 Settlers use the proceeds from the festival to help pay for restoration and upkeep of the historic Swinney Homestead.